Content filter which blocks all executable programs attached to emails. All legitimate executable files must be coordinated with the recipient via telephone for routing instructions. All emails are screened for viruses. Realtime Blackhole Lists to forbid mail exchange with the IP addresses of known spammers and mail servers that allow relaying. 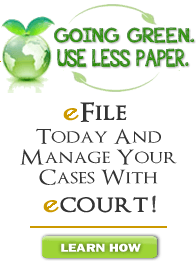 Email with attached images are reviewed to insure that they do not violate court policy. Confidential information such as usernames and passwords. Regretfully, these measures will sometimes have the undesired result of blocking legitimate emails to the recipients. If you have continued difficulty sending emails to a Fifth Circuit employee please contact the Information Technology Department at 504-376-1473 or 504-376-1474 to have the issue resolved.